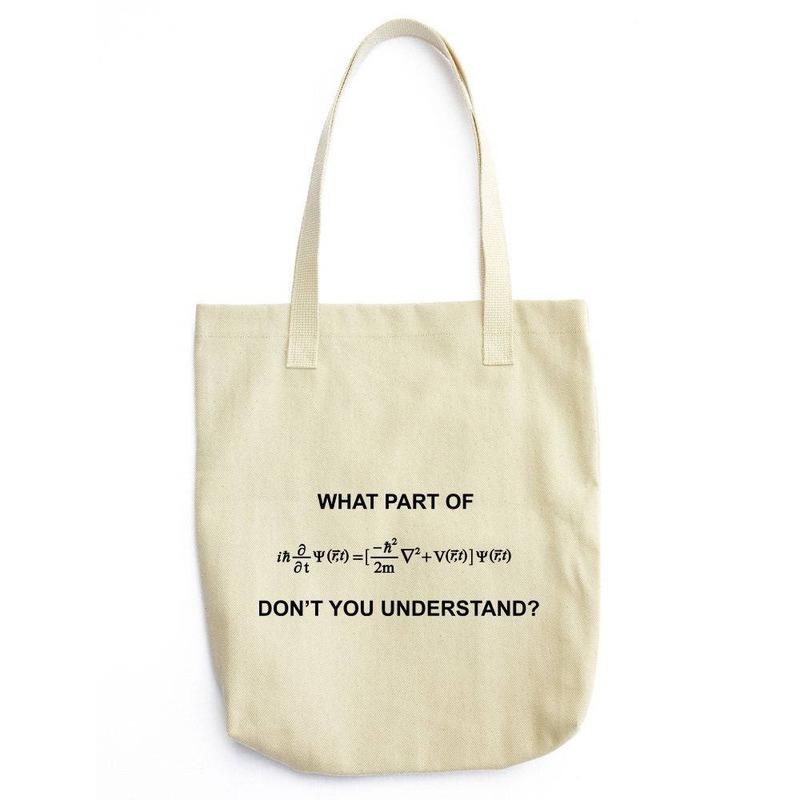 This is about the time-dependent Schrödinger equation (single non-relativistic particle), but if you don't get it, this design is not for you. Sorry. Contact us if you would like to customize this product. It is always a great idea to add a name & a date, or change the design's color. Bag's base color will always be beige - this is your canvas. Be creative and we will craft your unique tote bag for you!